The Five Steps (with the five well known biblical heroes) are a Prepping 101 class that provide a foundation for you and your families security. 1. Family Emergency Plan – Do you have one? Just like you plan for a fire drill, your family plan will tell everyone where to go and what to do. Remember, in the case of evacuation, 9 MINUTES is all most families get. How would your family do? It starts with writing down emergency numbers and includes building a FAMILY EMERGENCY KIT. 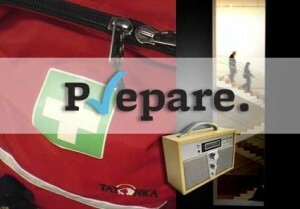 This kit should include items that you may need in the case of loss of electricity, damage to your house or evacuation. medicine to last. The food should be precooked, packaged and in cans or pouches. You need a minimum of one gallon of water a day per person to get by. 3. Shelter & Medical – Would you be able to shelter in your home if there was severe weather? Do you know where the safest place in your house is? And if you had to hunker down due to an ice storm, how would you keep warm? Do you have flashlights, batteries or a generator? What about sanitation if there was no water? Do you have a fire plan that the whole family understands? Are you prepared to evacuate your home if you only had 15 minutes warning? What would you need to take with you that really mattered? 4. Safety – If a hurricane hit, would your family and neighborhood be safe? Who are the people, neighbors your can rely on? Who do you trust and who would be there to help you turn off a leaking gas line or be ready with a chainsaw if the trees were down? Who will check on you to make sure you are ok? And who can you link with to share, trade and protect resources. 5. 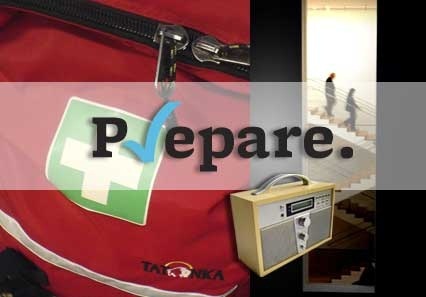 Long Range Planning/Supplies – In the case of a serious disaster, flu quarantine or even the loss of a job; have you set aside enough food, cash or water to survive for a week, month or even longer? Do you have enough medicine to take Have you thought about starting a garden, increasing your saving, getting a generator, putting in solar panels, canning food, getting a rain barrel for water collection or water filtration? Long range planning is more than having enough food it is thinking about who is your community and working together. It takes a team to win a game and team work to make it through disasters. To start on your Family Emergency plan.